On the Ground floor of 49 Armenian Street, it has a 'chim chae' or airwell, typical of all Peranakan homes. Enjoy some direct sunlight during the day. The Main Hall seats 60 people. Within the Main Hall, the Manek Room seats up to 14 persons. On the walls of this Room, True Blue Cuisine hangs its collection of beadworks such as shoe faces and beadwork for the bridal chamber. There is a cupboard displaying the finest antique beadwork slippers. Situated on the upper level, this room seats up to 24 people. 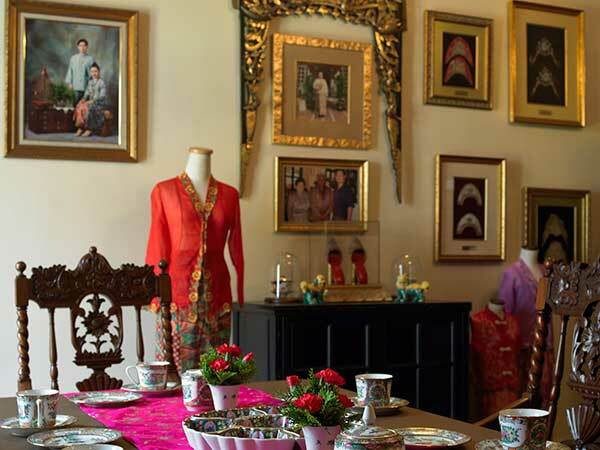 It displays antique sarongs, beautiful hand-embroidered kebayas which can be made-to-order. 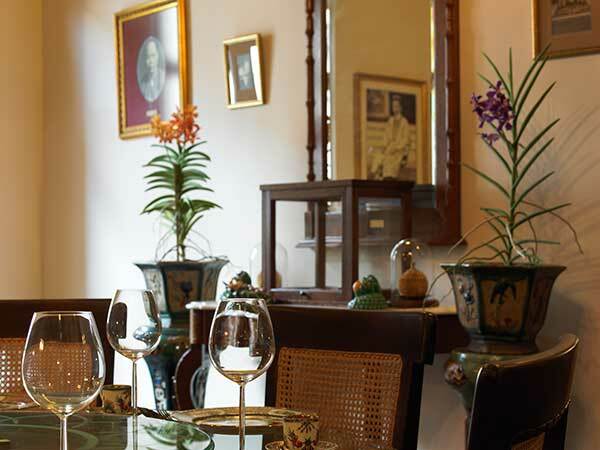 Admire the fine antique crockery and hand-crafted antique dining furniture. 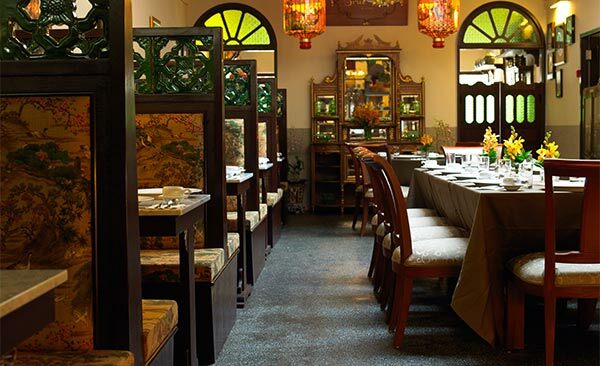 True Blue Cuisine's collection of fine antique Peranakan jewellery takes centrestage in this Room. 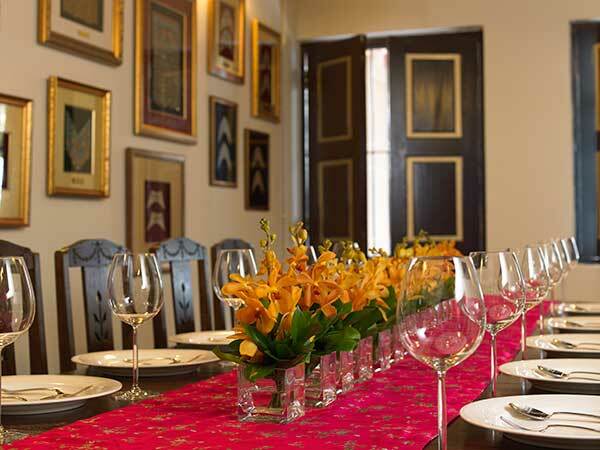 Dine in an opulent ambience in this heavily guilded Room. This VIP room seats 6 guests and is almost everyone's favourite.